This bamboo mouthorgan is well known worldwide, and nowadays it is even not rare to find one on Ebay. More and more instruments are sold worldwide, but due to the lack of quality, most of these instruments end up as a dust catcher. Maybe it is the exotism of the instrument which made it popular. 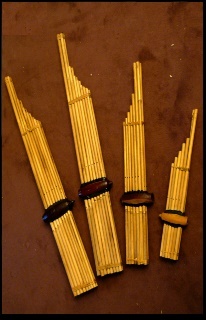 Another reason for its popularity might be that people think it is easy to play a bunch of bamboo pipes. When the first attempts of playing are over, many give up after discovering that playing this bunch of bamboo is not that simple! So, how do you play an instrument like that? 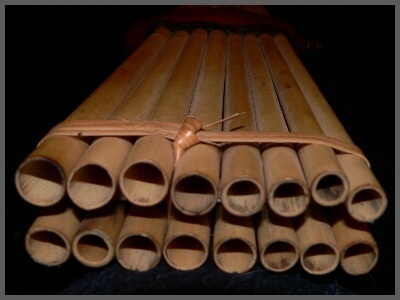 The mouthorgan "Khene" (or "Khaen", "Khen") is a bamboo reed organ appearing in different sizes and versions, ranging from 10 to 16 pipes (depending on the local traditions, Thai use the 16 pipes model while the Lao "Khaen chet" knows 14 pipes, the version used by the Khmu people has only 12 pipes). Most of the instruments come from manufacturers from Thailand today. We find special smaller Khene for children with 6 pipes and others with fourteen, sixteen or eighteen pipes, the latter sometimes sized with a length of over one meter. 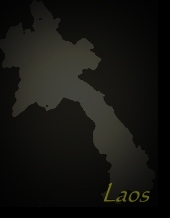 The five “lai” of the basic scales in Lao music where developed on this instrument, and even more interesting is the fact that many Lao today see this instrument as a proven ancient Lao instrument. On the other hand, scientific research is not quite sure whether Laos really was the origin of this kind of instrument. Mouth organs exist in many forms all over the world. 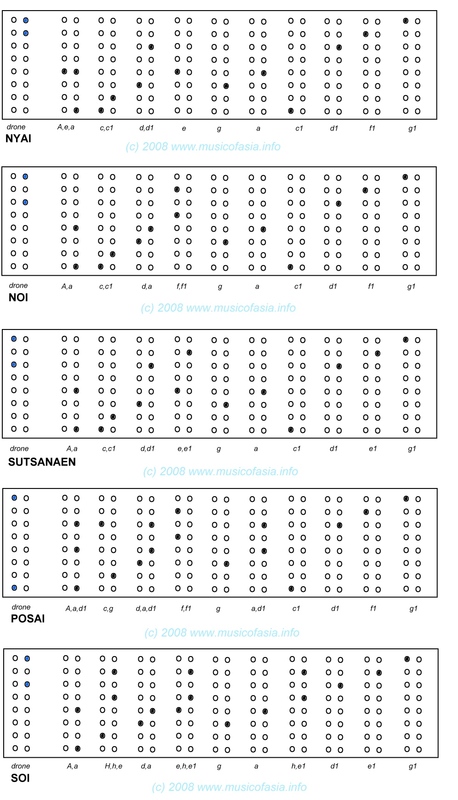 The Japanese “Sho” or the Chinese “Sheng” seem to be more elaborated forms of the simple structure of the Khene, but if we take a look at for example the “M’buot” of the GioRai people in Vietnam we also find more simple variants of the Khene which are not precisely determined in their age and could reach back to the stone ages. In Europe, the Harmonium / “Harmonica” was established in the 19th century, coming from St. Petersburg. This is the latest trace back to the invention of blown pipes bound together in order to create a homophone music of melodies and chords. Is the Khene even some kind of stepfather for the Western church organ? Asking questions like this might be to speculative, but nevertheless, the Lao Khene with its rich traditions remains a missing link for every kind of mouthorgan exitsing worldwide. The idea of drones with shifted harmonics seems to have been a gloom of invention around the world that even affected the harmonic whistles of South- and Middle America. This way the Lao tradition holds an important musical instrument which connects musical traditions all over the world. A good Khene player (called "mo khene") should know at least 18 variations for each song he/she performs. The instrument gets rarely used to play solo, mostly performs in duets accompanying the singer or in ensembles, even consisting of up to six Khen ("wong"). The first problem a potential player discovers is that the lack of quality also condensates in the impossibility of tuning. Normally, the holes make a tube sound if your press your finger on it. In cheap tourist or the small children versions, some tubes do not work or even sound the whole time, whether you press the finger on it or not. Sometimes, the bamboo tubes also are not tuned correctly, which sometimes can be fixed by changing the hioles. In most instruments players find a diatonic scale for the left hand and duplets or chromatic additions on the right hand. Other versions are simply tuned in pentatonic scales. 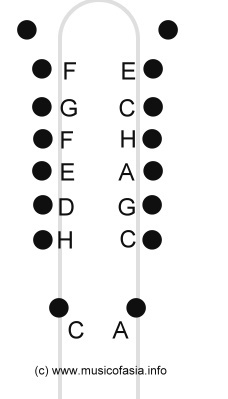 The Khene produces chords which are all layers of parts of the pentatonic scale. Depending on the mode“lai” two holes get covered with wax in order to produce steady drones which represent a basement for the melodies, which are also strictly bound to the scales of the “lai”. It can also be played "percussive" by pushed breathing. If you play the Khene for the first time, there will be two things to "worry" about: Depending on your model, there will be more playing holes than fingers on your hand. The best way to hold the instrument is to place it between the flat hands, so that both thumbs cover the head holes of the two front pipes (see picture on the left). The second thing to worry about is that if you want to perform the Khene in a traditional way, a good knowledge of the five “lai” is basic for improvisations. Breathing in both directions, in and out, is creating sound if your finger presses a hole. This way, first players will soon figure out how to use the instrument as a rhythmic playing device. You can always create different rhythmic patterns by breathing, using single notes or chords. Playing the Khene for alonger time can be a little breathtaking. Playing melodies is a bit more difficult, because each way of breathing makes a sound, and sometimes players forget to change the finger so a tone sounds twice. After playing Khene for more than an hour, it is not only the taste in your mouth which will stay for a while. The Khene can be a very loud instrument with such a characteristic sound, which the player will always keep in mind.